It only feels like five minutes since we were celebrating the start of the summer holidays with a selection of seaside movies. But a new academic year is underway and Cinema Paradiso marks the first week of term with an overview of the best school films, with the focus falling on the teachers charged with passing on their knowledge, keeping order, achieving results and shaping model citizens. Going to school is one of the few experiences that everyone in this country has in common. They may have attended very different institutions, but, between the ages of 4-16, British kids are bound by law to be in full-time education. Considering the central role that schooling plays in childhood, it's surprising how rarely UK film-makers have tackled the topic since Will Hay tilted his mortarboard to bluff and bungle his way through lessons in William Beaudine's Boys Will Be Boys (1935) and Marcel Varnel's The Ghost of St. Michael's (1941). However, Frank Launder and Sidney Gilliat spent time at the chalk face with Alastair Sim in The Happiest Days of Your Life (1950), The Belles of St. Trinian's (1954) and Blue Murder at St. Trinian's (1957). Inspired by the cartoons of Ronald Searle, the latter pair saw Sim don a frock to play headmistress Millicent Fritton and Rupert Everett assumed the name Camilla Fritton in Oliver Parker's St. Trinian's (2007) and St. Trinian's 2: The Legend of Fritton's Gold (2009). Depending on your age, school life will be synonymous with such small-screen series as Whack-O! (1956-72), Please Sir! (1968-72), Grange Hill (1978-2008), The Demon Headmaster (1996-98), Teachers (2001-04), The Inbetweeners (2008-10) and Bad Education (2012-14). In the monochrome era, teachers featured prominently in Lawrence Huntington's Mr. Perrin and Mr. Trail (1948), Gordon Parry's Tom Brown's Schooldays (1950). Anthony Asquith's The Browning Version (1951, which was remade by Mike Figgis in 1994), Cyril Frankel's It's Great to Be Young (1956) and Gerald Thomas's Carry On Teacher (1959). But the emphasis shifted on to the pupils with Tony Richardson's The Loneliness of the Long Distance Runner (1962) and, subsequently, schools across the class and ability range have featured in pictures like Ken Loach's Kes, Lindsay Anderson's If... (both 1969), John MacKenzie's Unman, Wittering and Zygo (1971), Bill Forsyth's Gregory's Girl (1981), Marek Kanievska's Another Country (1984), Nicholas Hytner's The History Boys (2006) and Richard Ayoade's Submarine (2010). And, of course, a good deal of the action in the Harry Potter cycle (2001-11) takes place at Hogwarts School of Witchcraft and Wizardry. Yet, generations of British schoolkids have identified just as readily with the rituals and jargon of teenpix set in all-American high schools, complete with their jocks, nerds, ditzes, princesses, virgins, stoners, brainiacs, bullies, outcasts and mean girls. Audiences have been hooked on high school movies since Mickey Rooney got into untold scrapes at Carvel High in the 10 episodes in MGM's long-running B series between A Family Affair (1937) and Andy Hardy's Private Secretary (1941). James Dean brought a whiff of delinquency to the school flick in Nicholas Ray's Rebel Without a Cause (1955), which was fondly lampooned by Henry Winkler as the Fonz in Garry Marshall's enduringly popular ABC series, Happy Days (1974-84). Indeed, many movies harking back to the advent of the teenager have erred on the nostalgic side, among them George Lucas's American Graffiti (1973), Randal Kleiser's Grease (1978), Patricia Birch's Grease 2 (1982), Robert Zemeckis's Back to the Future (1985) and Francis Ford Coppola's Peggy Sue Got Married (1986). However, John Waters managed to combine kitsch and edge in Hairspray (1988), which was turned into a Broadway musical that reached the screen with Alan Shankman at the helm in 2007. No roll call of high school features would be complete without namechecking John Hughes, who virtually wrote the teenpic handbook with gems like Sixteen Candles (1984), The Breakfast Club (1985), Ferris Bueller's Day Off (1986), Pretty in Pink (1986) and Howard Deutsch's Some Kind of Wonderful (1987), which Hughes wrote and produced. Yet, the sub-genre was kickstarted by Amy Heckerling's Cameron Crowe-scripted Fast Times At Ridgemont High (1982), which she followed up with Clueless (1985), which brilliantly recast Jane Austen's Emma into a high school setting. A number of Shakespeare plays have similarly been updated to the classroom, including The Taming of the Shrew as 10 Things I Hate About You (Gil Junger, 1999), A Midsummer Night's Dream as Get Over It (Tommy O'Haver, 2001), Othello as O (Tim Blake Nelson, 2001) and Twelfth Night as both Just One of the Guys (Lisa Gottlieb, 1985) and She's the Man (Andy Fickman, 2006). And, for good measure, we should also mention that Roger Kumble's Cruel Intentions is based on Choderlos de Laclos's Dangerous Liaisons, Robert Iscove's She's All That (both 1999) draws on George Bernard Shaw's Pygmalion and Will Gluck's Easy A (2010) owes much to Nathaniel Hawthorne's The Scarlet Letter. Clearly, with all the promcoms, slashers, sports and rite of passage pictures with school settings, we could be here for hours. So, we shall content ourselves to exploring a clutch of themes before suggesting a rattle bag of classics and oddities. As it's been all sweetness and light so far, let's turn out attention to the bullies and the psychos on show in Brian De Palma's Carrie (1976), Tony Bill's My Bodyguard (1980), Tim Hunter's River's Edge (1987), Michael Lehmann's Heathers (1988), Gus Van Sant's Elephant (2003) and the Tina Fey-scripted Mean Girls (2004). The latter was directed by Mark Waters, who also guided Lindsay Lohan (and Jamie Lee Curtis) through the 2003 remake of Gary Nelson's Freaky Friday (1976), which had starred Jodie Foster and the late Barbara Harris as a mother and daughter who swap places on Friday the 13th. More overage students appear in the form of Rodney Dangerfield in Alan Metter's Back to School (1986), Adam Sandler in Tamra Davis's Billy Madison (1995), Mira Sorvino and Lisa Kudrow in David Mirkin's Romy and Michele's High School Reunion (1997), Zac Efron in Burr Steers's 17 Again (2009), and Jonah Hill and Channing Tatum in Phil Lord's 21 Jump Street (2012). School is not just about learning, as growth also comes from extracurricular activities like writing for the school newspaper, as in Dash Shaw's adventurous animation, My Entire High School Sinking Into the Sea (2017), or playing in a band, as in Rick Famuyiwa's Dope (2015). Participating in competitions and school productions also looks good on the resumé, although there's no easy route to success, as the students discover in Alan Parker's Fame (1980), Peyton Reed's Bring It On (2000), Adam Shankman's A Walk to Remember (2002), Kenny Ortega's High School Musical (2006), Doug Atchinson's Akeelah and the Bee (2006) and Jeffrey Blitz's Rocket Science (2007). Naturally, no overview of school life would be complete without some geeks inheriting the earth, whether they are aspiring party planners like Christopher Reid and Robin Harris in Reginald Hudlin's House Party (1990) or Jonah Hill and Michael Cera in Greg Mottola's Superbad (2007), amateur movie makers like Ezra Miller in Antonio Campos's Afterschool (2008) or Thomas Mann and RJ Cyler in Alfonso Gomez-Rejon's Me and Earl and the Dying Girl (2015) or developing visionary, superheroic or telekinetic powers like Jake Gyllenhaal in Richard Kelly's Donnie Darko (2001), Michael Angarano in Mike Mitchell's Sky High (2005) or Dane DeHaan, Alex Russell and Michael B. Jordan in Josh Trank's Chronicle (2012). Of course, there's nothing wrong with simply being an outsider, as is the case with Jason Schwartzman in Wes Anderson's Rushmore (1998), Thora Birch and Scarlett Johansson in Terry Zwigoff's Ghost World (2001), Jon Heder in Jared Hess's Napoleon Dynamite (2004), Logan Lerman in Stephen Chbosky's The Perks of Being a Wallflower (2012) and Hailee Steinfeld in Kelly Fremon Craig's The Edge of Seventeen (2016). Yet, for all the stereotypes and stock situations, high school movies can still spring surprises, as is demonstrated by such eclectic offerings as Alan Arkush's Rock'n'Roll High School (1979), Cameron Crowe's Say Anything (1989), Richard Linklater's Dazed and Confused (1993), Wes Craven's Scream (1996), Paul Weitz's American Pie (1999), Justin Lin's Better Luck Tomorrow (2002), James Ponsoldt's The Spectacular Now (2013), Stephen Chbosky's Wonder (2017), Kyle Rideout's Public Schooled and Marc Meyers's My Friend Dahmer (both 2017). Most people can remember a teacher who tried to make a difference by either producing engaging lessons or by providing support in moments of crisis. Cinema has latched on to the inspirational teacher, with a number of true-life tales centring on passionate educators who refused to abandon students on the wrong side of the tracks. In Ramón Menéndez's Stand and Deliver (1988), Edward James Olmos earned a Best Actor nomination for his performance as maths teacher Jaime Escalante, whose impact on his students at the struggling Garfield High in East Los Angeles was so dramatic that the authorities accused them of cheating. As radical principal Louis Clark, Morgan Freeman opts for a tougher brand of love, as he walks the corridors with a baseball bat in order to rid East Side High in Paterson, New Jersey of gangs and drugs in John G. Avildsen's Lean on Me (1989). Joe Johnston heads back to 1957 for October Sky (1999), to show how science teacher Frieda J. Riley (Laura Dern) helped Homer Hickam, Jr. (Jake Gyllenhaal) find a way out of Coalwood, West Virginia by backing his bid to build his own rocket following the Soviet launch of the Sputnik satellite. Moving into the 1960s, Jon Voight takes the title role in Martin Ritt's Conrack (1974), which was based on the memoirs of Pat Conroy, who defies his bigoted principal to teach the African-American students on a remote island off the coast of South Carolina to value themselves and the opportunity that their schooling affords. As played by Hilary Swank in Richard LaGravanese's Freedom Writers (2007), high-achieving Erin Gruwell is also in the right place at the right time, as she reaches her disaffected students by encouraging them to keep journals of their daily experiences. However, she had initially been convinced that she had made a mistake in taking up an appointment at Woodrow Wilson Classical High School in Long Beach, California in the wake of the 1992 race riots. 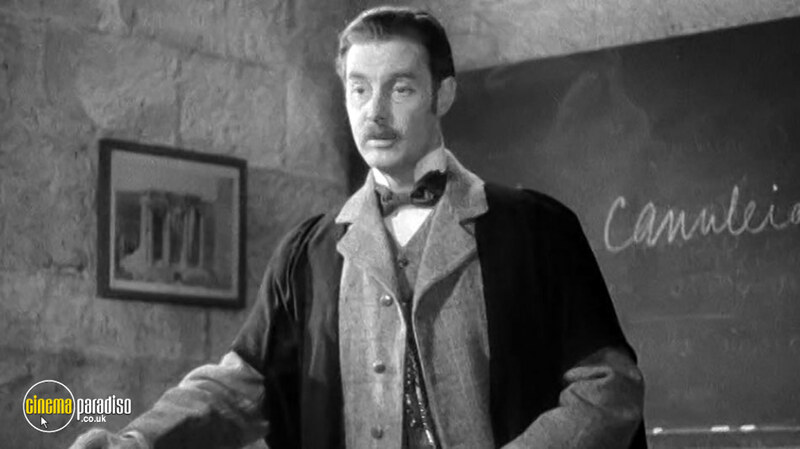 Teachers with a liberal conscience have been battling injustice since Glenn Ford fetched up at North Manual Trades High School in Richard Brooks's Blackboard Jungle (1955). 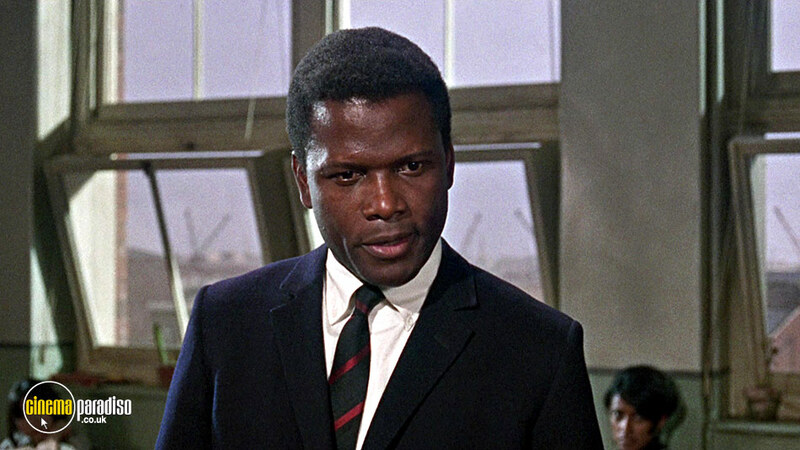 Adapted from an autobiographical novel by Evan Hunter, this hard-hitting drama not only presented Sidney Poitier and Vic Morrow with breakthrough roles, but it also helped popularise 'Rock Around the Clock' by Bill Haley and the Comets. Several other teachers have kicked against the system in this manner, including Sandy Dennis in Robert Mulligan's Up the Down Staircase (1967), Michael Vartan in Raja Gosnell's Never Been Kissed (1999), Daniel Kucan in Brooks Elms's Schooled (2008), Paula Patton in Lee Daniels's Precious (2009) and Octavia Spencer in Steven Herek's The Great Gilly Hopkins (2015). 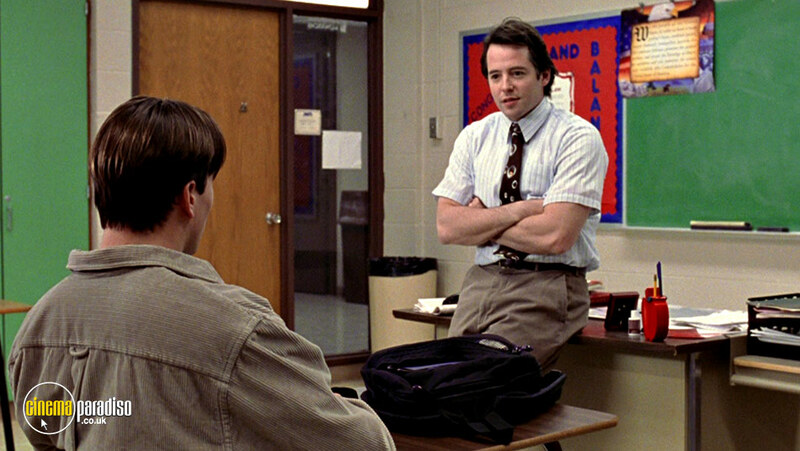 And added to this list are replacement teachers Jonathan Shale (Tom Berenger) in Robert Mandel's The Substitute (1996), Trevor Garfield (Samuel L. Jackson) in Kevin Reynolds's One Eight Seven (1997) and Adrien Brody in Tony Kaye's Detachment (2011), who respectively have to hit the ground running at Columbus High, Roosevelt Whitney High and Mineola High. Life's a lot easier in well-heeled institutions like Welton Academy, the exclusive Vermont prep school where old boy John Keating urges his students to 'seize the day' and 'make your lives extraordinary'. Robin Williams earned an Oscar nomination for his performance in Peter Weir's Dead Poets Society (1989), while Tom Schulman won the Best Original Screenplay award. Moreover, this unashamedly sentimental drama also won the BAFTA for Best Film and the César and Donatello awards for Best Foreign Film. Kevin Kline's William Hundert seeks to do for Classics what Keating does for literature, as he takes on recalcitrant senator's son Emile Hirsch at St Benedict's Academy near Washington, DC in Michael Hoffman's The Emperor's Club (2002), and his idealism finds echo in the efforts of Eugene Simonet (Kevin Spacey) to create a network of good deeds at his Las Vegas school in Mimi Leder's Pay It Forward (2000). But before anyone asks why we've not included free-thinking art teacher Katherine Watson (Julia Roberts) in Mike Newell's Mona Lisa Smile (2003), she taught at Wellesley, which is a college and we're focusing on high schools. While several of the teachers we've encountered thus far employed unconventional methods, the core curriculum offers fewer opportunities for mavericks to work their magic than music, drama and sport. Take Glenn Holland (Richard Dreyfus), who begins teaching music at John F. Kennedy High School in Portland, Oregon because he believes it will leave him plenty of time for composing. However, as Stephen Herek's Mr. Holland's Opus (1995) develops, he realises that his masterpiece matters less than instilling a love of the classical repertoire into his students. 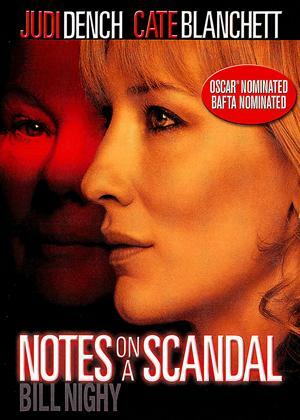 Dreyfus earned an Oscar nomination for his work, as did Meryl Streep for her performance as Roberta Guaspari in Wes Craven's fact-based Music of the Heart (1999), which follows a violinist to Central Park East School in Harlem, where she battles local authority cuts by staging a benefit concert at Carnegie Hall to ensure that music remains an option for the underprivileged children of New York. Annette O'Toole plays another music teacher who coaxes kids into exploring their talent in Eric Till's 1988 adaptation of Katherine Paterson's bestseller, Bridge to Terabithia, and the role of Miss Edmunds passed to Zooey Deschanel (who also plays a teacher in New Girl, 2011-18) in Gábor Csupó's 2007 remake. Drama teacher Patricia Clarkson casts Elle Fanning in the school production of Lewis Carroll's surreal classic in a bid to help her deal with Tourette's in Daniel Barnz's Phoebe in Wonderland (2008). However, drama teacher Chook Hennessey (David Woods) despairs of asking Timothy Conigrave (Ryan Corr) to participate in the production of Romeo and Juliet at Melbourne's prestigious Xavier College in 1976, as he uses it to impress star Aussie Rules footballer John Caleo (Craig Stott) in Neil Armfield's Holding the Man (2015). Unsurprisingly, principal Father Woods (Paul Goddard) disapproves of homosexuality and Sister Aloysius Beauvier (Meryl Streep) turns against parish priest Fr. Brendan Flynn in John Patrick Shanley's Doubt (2008), when she learns from Sister James (Amy Adams) that he is taking an overly keen interest in Donald Miller (Joseph Foster), the first black student at St Nicholas's School in The Bronx in 1964. Fr. Chuck O'Malley and Sister Mary Benedict may have had their differences in trying to save the eponymous school in Leo McCarey's The Bells of St. Mary's (1945). But Bing Crosby and Ingrid Bergman both secured Oscar nominations for their performances, with Crosby making history by becoming the first actor to be nominated twice for playing the same character, as he had won the Academy Award for Best Actor for his work in McCarey's Going My Way (1944). Mother superior Rosalind Russell has a more relaxed attitude to running the St. Francis Academy in Pennsylvania. But she still comes down like a ton of bricks when Hayley Mills and June Harding challenge her authority in The Trouble with Angels (1966) and cuts Susan Saint James and Barbara Hunter little more slack during a bus trip in James Neilson's sequel, Where Angels Go, Trouble Follows (1968). The sharp-eyed will have noticed that St. Francis Academy is also the name of the San Francisco alma mater to which Deloris van Cartier (Whoopi Goldberg) returns as a music teacher to assist nuns Mary Patrick (Kathy Najimi), Mary Robert (Wendy Makkena) and Mary Lazarus (Mary Wickes) in Bill Duke's Sister Act 2 (1993). Sister Sunday (Marley Shelton) helps Cathy Rush (Carla Gugino) whip the Immaculata College women's basketball team into shape in Tim Chambers's The Mighty Macs (2009) and there's more hoops success for Gene Hackman in Hickory, Indiana and Samuel L. Jackson in Richmond, Virginia in David Anspaugh's Best Shot (1986) and Thomas Carter's Coach Carter (2005). Team tutor Kathryn Erbe helps Emilio Estevez turn around the fortunes of a struggling ice hockey team in Sam Weissman's D2: The Mighty Ducks (1994). But all their hard work seems set to be undone by coach Jeffrey Nordling when the team receive scholarships to the snooty Eden Hall Academy in Robert Lieberman's D3: The Mighty Ducks (1996). Cross-country running for principal/coach Kevin Dunn helps Josh Wiggins recover from the loss of his mother after maths-teaching father JK Simmonds transfers to the St. Martin's all-boys prep school in Los Angeles in Kurt Voelker's The Bachelors (2017). But it's gridiron glory all the way for coaches Herman Boone (Denzel Washington) at TC Williams High in Alexandria, Virginia in Boaz Yakin's Remember the Titans (2000), Gary Gaines (Billy Bob Thornton) of Permian High School in Odessa, Texas in Peter Berg's Friday Night Lights (2004), Burt Cotton (Ray McKinnon) at Wingate Christian School in Memphis, Tennessee in John Lee Hancock's The Blind Side (2009) and Jim White (Kevin Costner) from McFarland, California in Niki Caro's McFarland, USA (2015). 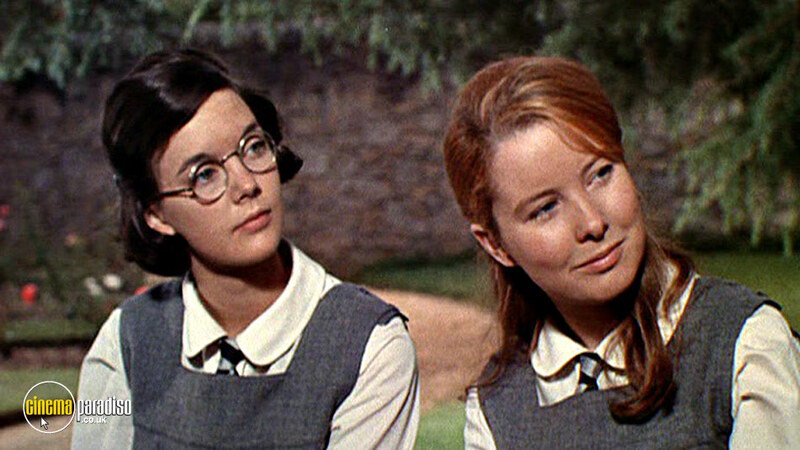 Teachers aren't always confined to classrooms, as Arthur Penn revealed in chronicling the relationship between Annie Sullivan and her deaf-blind pupil Helen Keller in The Miracle Worker (1962), which earned Anne Bancroft and Patty Duke the Academy Awards for Best Actress and Supporting Actress before Duke swapped roles to mentor Melissa Gilbert in Paul Aaron's 1979 TV-movie remake. Among the tutors at large on view at Cinema Paradiso are Mr. Miyagi (Pat Morita) in John G. Avildsen's The Karate Kid (1984) and Mr. Han in Harald Zwart's 2010 remake; Andie Bergstrom (Kate Capshaw) in Harry Winer's SpaceCamp (1986); Justin McLeod (Mel Gibson) in Mel Gibson's The Man Without a Face (1993); Bill Rago (Danny DeVito) in Penny Marshall's Renaissance Man (1994); and William Forrester (Sean Connery) in Gus Van Sant's Finding Forrester (2000). Looking on the light side, slacker social studies teacher Nick Nolte gets a jolt of reality when he agrees to double as school psychologist at John F. Kennedy High in Columbus, Ohio in Arthur Hiller's Teachers (1984) and the tone is equally satirical in Mike Akel's mockumentary Chalk (2006). The humour's a little broader in Ivan Reitman's Kindergarten Cop (1990). But there's still plenty to smile about as LAPD detective Arnold Schwarzenegger goes undercover at Astoria Elementary School and the emphasis remains on the tinies, as Daryl Hannah's Miss Crabtree tries to keep control over her mischievous charges in Penelope Spheeris's Little Rascals (1994), an updating of Hal Roach's long-running Our Gang series (1922-44), which boasts a cameo from Donald Trump as the oil tycoon father of one of their classmates. Some might find this a disquieting thought, but they will be even more unnerved by some of the terrifying teachers and principals who have appeared on screen over the years. Among them are Mrs. Appleyard (Rachel Roberts) in Peter Weir's Picnic at Hanging Rock (1975), the sadistic teacher (Alex McAvoy) in Alan Parker's Pink Floyd: The Wall (1982), Mr. Strickland (James Tolkan) in Back to the Future, Ed Rooney (Jeffrey Jones) in Ferris Bueller's Day Off, Gale Nolan (Norman Lloyd) in Dead Poets Society, Laura Ellington (Amanda Donohoe) in Cynthia Verlaine's The Substitute (1993), Gene Wolters (William H. Macy) in Mr. Holland's Opus, Miss Trunchbull (Pam Ferris) in Danny DeVito's Matilda (1996), Mrs. Olson (Piper Laurie) in Robert Rodriguez's The Faculty (1998), Mrs. Tingle (Helen Mirren) in Kevin Williamson's Teaching Mrs. Tingle (1999), Elizabeth Halsey (Cameron Diaz) in Jake Kasdan's Bad Teacher (2011). Dr Terence Fletcher (JK Simmons) in Damien Chazelle's Whiplash (2015) and the unholy trinity of Severus Snape (Alan Rickman), Dolores Umbridge (Imelda Staunton) and Gilderoy Lockhart (Kenneth Branagh) from the Harry Potter franchise. Obviously, there are schools across the globe and teachers have figured in factual and fictional films alike. 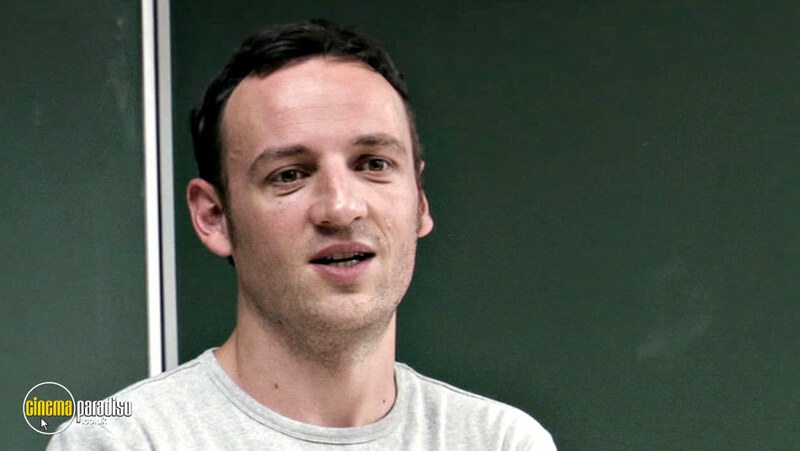 The most engaging documentary about the French education system is Nicolas Philibert's To Be and to Have (2002), which profiles primary teacher Georges Lopez and the work he does in a single-room school in the commune of Saint-Étienne-sur-Usson in the Auvergne. Unquestionably, the noblest teacher is Père Jean (Philippe Morier-Genoud) in Louis Malle's Goodbye, Children (1987), but the commitment cannot be questioned of Daniel Lefebvre (Philippe Torreton) in Bertrand Tavernier's It All Starts Today (1998), Clément Mathieu (Gérard Jugnot) in The Chorus (2004) and Sonia Bergerac (Isabelle Adjani) in Jean-Paul Lilienfeld's La Journée de la jupe (2009). Elsewhere across Europe, German history teacher Rainer Wenger (Jürgen Vogel) loses control of an experiment to explain dictatorship in Dennis Gansel's The Wave (2008); Danish pre-school teacher Lucas (Mads Mikkelsen) is accused of inappropriate behaviour in Thomas Vinterberg's The Hunt (2012); biologist Victor Sluzhkin (Konstantin Khabenskiy) finds teaching in his Ural hometown a sobering experience in Aleksandr Veledinskiy's The Geographer Drank His Globe Away (2013); Bulgarian teacher Nadezhda (Margita Gosheva) pays a high price for trying to discover which one of her students is a thief in Kristina Grozeva and Petar Valchanov's The Lesson (2014); Maria Drazdechova (Zuzana Mauréry) stands up to Communist Party criticism in 1980s Czechoslovakia in Jan Hrebejk's The Teacher; and Russian biology mistress Elena Krasnova (Viktoriya Isakova) challenges the disruptive Veniamin Yuzhin (Pyotr Skvortsov) over his fanatical religious beliefs in Kirill Serebrennikov's The Student (both 2016). Finally. moving further afield, substitute teacher Wei Minzhi has to keep the class in a remote part of China together for a month in Zhang Yimou's Not One Less (1999); new art teacher Aamir Khan helps eight-year-old Mumbai boy Darsheel Safary realise his potential in Khan and Amole Gupte's Like Stars on Earth (2007); art teacher Kang In-ho (Gong Yoo) uncovers the suffering endured by the students at a South Korean school for the hearing-impaired in Hwang Dong-hyuk's Silenced; and Algerian immigrant Mohamed Fellag tries to console the students whose favourite teacher killed herself in their Montreal classroom in Philippe Falardeau's Monsieur Lazhar (both 2011). Inheriting the title role of Sam Wood's adaptation of James Hilton's novella from Charles Laughton, Robert Donat pipped Gone With the Wind's Clark Gable to the Academy Award for Best Actor for his delightful performance as Charles Chipping, who devotes 58 years of his life to Brookfield School. Repton School in Derbyshire provided the setting, as well as several masters and pupils to give the drama an authentic feel, as Chips deals with the vicissitudes of being a young master in 1870 and the acting headmaster forced to read out the names of old boys killed in the trenches. 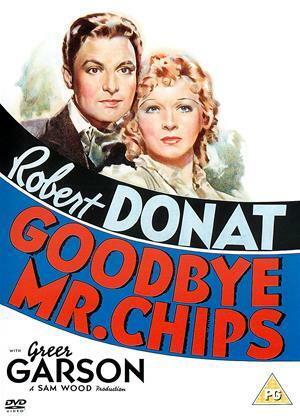 With Greer Garson enchanting as Mrs. Chips, this is incalculably superior to Herbert Ross's 1969 musicalisation, which astonishingly earned Peter O'Toole his own Oscar nomination. 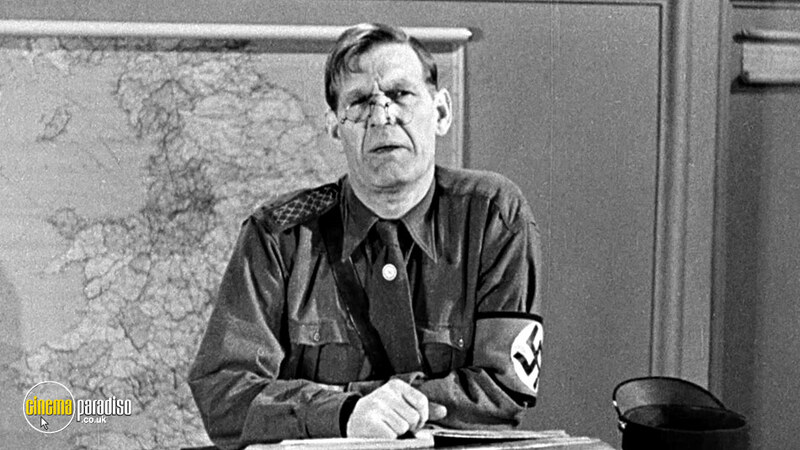 It was a comedian's duty to debunk the Nazis during the Second World War and few did it more effectively than Will Hay in this riotous comedy, which he co-directed with Basil Dearden. 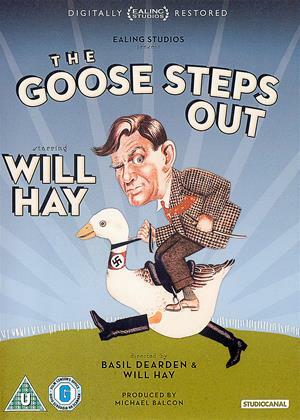 When it's discovered that linguist William Potts (Hay) is a dead ringer for a spy named Muller, he is parachuted into the Reich to teach espionage to a mixed class of Germans and Austrians. The debuting Peter Ustinov is highly suspicious, especially when Hay insists it's protocol to give portraits of Adolf Hitler the V-sign. But Charles Hawtrey is eager to help Hay obtain information on the top secret weapon being perfected by boffin Frank Pettingell. Full of witty wordplay and anarchic slapstick, this may not always be subtle. But, in wartime, that was the point. 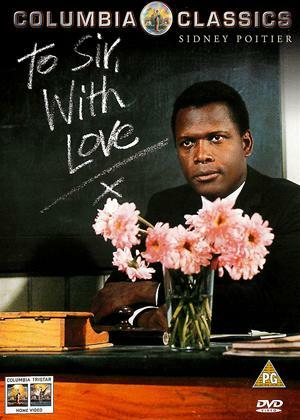 Sidney Poitier conducted a one-man Civil Rights campaign during 1967, as he followed his Oscar-nominated turn in Norman Jewison's In the Heat of the Night and Stanley Kramer's Guess Who's Coming to Dinner with James Clavell's adaptation of ER Braithwaite's memoir of being a black teacher in the East End of London. On arriving at North Quay Secondary Modern, Mark Thackeray (Poitier) is confronted with the disaffection of students who had already been turfed out of other schools. Through a combination of empathy and persistence, he wins them around, although it takes a more macho display to convince the surly Denham (Christian Roberts). The theme tune by Lulu topped the US charts for five weeks, as this became one of the UK box-office hits of the decade. Having already adapted Muriel Spark's novel about an unconventional Edinburgh teacher for the stage, Jay Presson Allen was the perfect choice to script Ronald Neame's screen version. However, Vanessa Redgrave was replaced in the title role by Maggie Smith, who won the Academy Award for Best Actress for her exceptional performance as the history and literature teacher at Marcia Blaine School for Girls who feels she has a wider duty to introduce her students to culture and politics in order to turn them into 'the crème de la crème'. 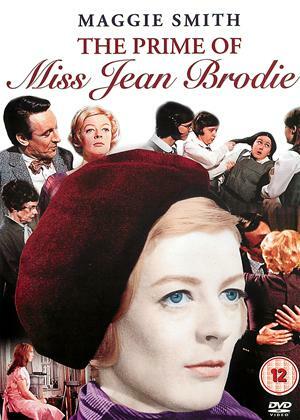 However, headmistress Miss Mackay (Celia Johnson) is not alone in believing that Miss Brodie is exerting a baleful influence, as Sandy (Pamela Franklin) begins to fear for Mary (Jane Carr) and Jenny (Diane Grayson), her friends in the Brodie Set. Former US Marine LouAnne Johnson didn't always recognise her own experiences in John N. Smith's adaptation of her 1992 memoir, My Posse Don't Do Homework. Yet, while it reinforces the pernicious white burden cliché, this well-meaning drama struck a chord with audiences as much as the video for Coolio's 'Gangsta's Paradise', which featured a leather-jacketed Michelle Pfeiffer in a smoke-filled classroom. In fact, Johnson taught a mix of white, black and Hispanic kids and used rap to get through to her students rather than comparisons between Bob Dylan's 'Mr Tambourine Man' and Dylan Thomas's 'Do Not Go Gentle Into That Good Night'. But her efforts to help pregnant Callie Roberts (Bruklin Harris), gang member Raúl Sanchero (Renoly Santiago) and vendetta target Emilio Ramírez (Wade Domínguez) are undeniably sincere. It's impossible to watch Alexander Payne's adaptation of Tom Perrotta's novel without squirming. 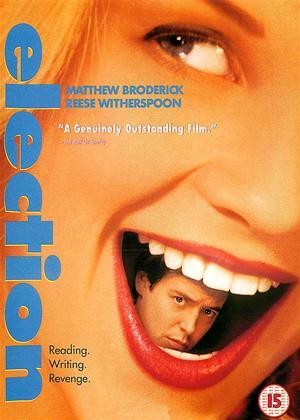 When Tracy Flick (Reese Witherspoon) announces her candidature for student body president at George Washington Carver High School in Omaha, Nebraska, civics teacher Jim McAllister (Matthew Broderick) feels duty-bound to ensure this terrifyingly focused overachiever doesn't run unopposed because she had been allowed to move on from her affair with fellow teacher Dave Novotny (Mark Harelik), while his life has been ruined. However, McAllister has no idea who he is up against when he persuades injured jock Paul Metzler (Chris Klein) to mount a campaign. Using local students and teachers to give the school sequences an authentic vibe, Payne also makes canny use of Broderick's Ferris Bueller persona to shatter a generation's illusions of innocence. 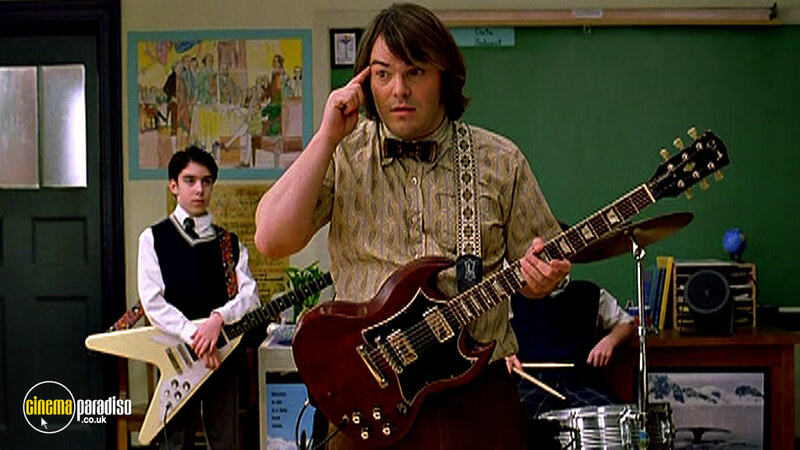 Jack Black invokes the spirit of John Belushi in Richard Linklater's feel-good comedy, as he prepares a class of initially sceptical fifth graders for a Battle of the Bands contest. 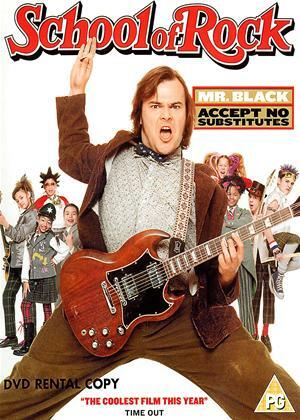 Given the currency of child protection issues, it's likely that image-conscious studio suits would reject a screenplay that sees struggling guitarist Dewey Finn (Black) borrow the ID belonging to teacher roommate Ned Schneebly (Mike White) and persuade Principal Rosalie Mullins (Joan Cusack) to take him on as a temporary music teacher at the elite Horace Green Prep School. Yet Mike White's scenario went on to spawn a Nickelodeon TV series and a Broadway show. Moreover, it's hard to take exception to the positive impact that Black and his musical heroes have on the pampered tweenagers in his care. In 2004, Ryan Fleck impressed at Sundance with Gowanus, Brooklyn, a short film in which a teenage student named Drey (Shareeka Epps) discovers that her teacher, Mr. Dunne (Matt Kerr), is a drug addict. 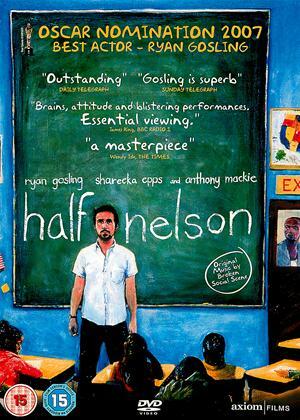 Two years later, Fleck and co-writer/director Anna Boden expanded the story to feature length and guided Ryan Gosling to an Oscar nomination for his performance as the dissolute Dan Dunne, a thirtysomething history teacher and basketball coach at a Brooklyn junior high school whose fixation with Hegelian dialectics sums up the situation facing the 13 year-old Drey (Epps again) - who finds him wiped out in a cubicle in the girls' toilets after a game - as she tries to resist the predatory attentions of the drug dealer who landed her brother in jail. 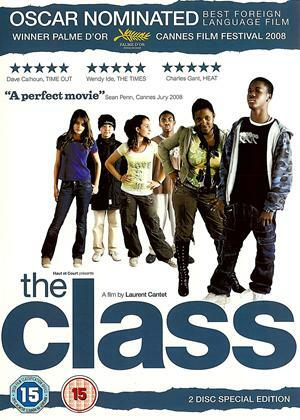 One suspects Ofsted would take a dim view of the shenanigans taking place at the London comprehensive outlined in Richard Eyre's adaptation of Zoë Heller's 2003 Booker-shortlisted novel. 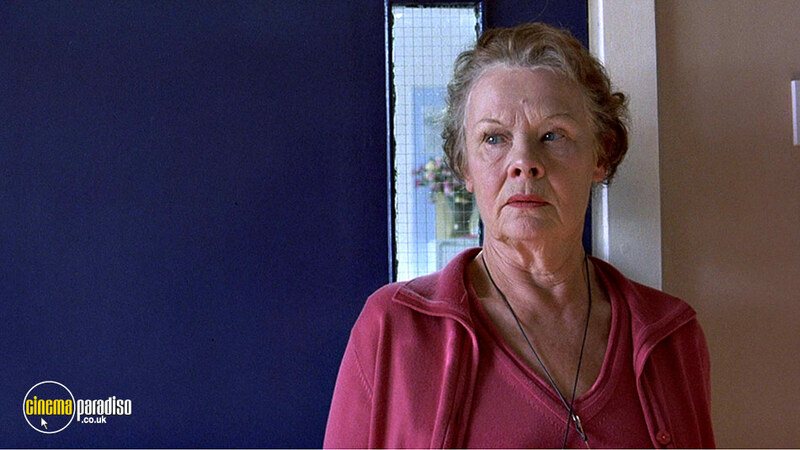 The spirit of Claude Chabrol pervades Patrick Marber's screenplay, as history teacher Barbara Covett (Judi Dench) develops an obsession with Sheba Hart (Cate Blanchett), the new art teacher, who has returned to education after raising her Down syndrome son. However, the nature of their relationship changes after Covett catches Hart in a compromising position with 15-year-old Irish student Steven Connolly (Andrew Simpson). Dench and Blanchett were Oscar-nominated for their work, as were Marber and composer Philip Glass. But Eyre deserves credit for creating a credible milieu and for preventing the action becoming a melodramatic mash-up of Hitchcock and Nabokov. Set in a Parisian lycée and evoking both Jean Vigo's Zéro de conduite (1933) and François Truffaut's The 400 Blows (1959), Laurent Cantent's Oscar-nominated Palme d'Or winner sees François Bégaudeau headline an adaptation of his own autobiographical novel about an idealist's struggle to engage with kids from a variety of ethnic backgrounds who are bent on disrupting lessons and backing themselves into a lifelong cul-de-sac by wasting their schooldays. Eschewing the sentimental nobility that informs so many American films about education, this study in disappointment, political correctness and self-fulfilling prophecies was workshopped by the non-professional juvenile cast to bring a sense of immediacy and relevance to the cultural and ideological issues that Bégaudeau has to fathom in order to gain an understanding of the everyday realities facing his students. Rent films as part of our Free Trial offer from our extensive library of over 90,000 titles. Explore our rental library by browsing through the genres and if you find something you would like to watch from our films library sign up today and we will rush them to you by post.